Welcome to the first in our new series of blog posts; Q&As with business owners and leaders from our region and beyond. First off the blocks is the inspirational Joanna Feeley, Founder of Trend Bible, a Newcastle based trend forecasting agency with a global client base. 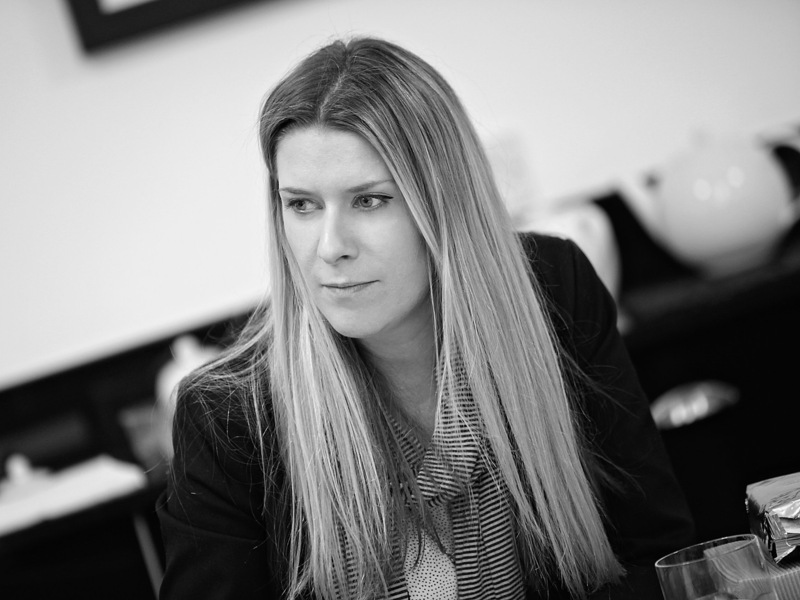 Joanna Feeley has 18 years of experience as a trend forecaster and brand strategist for home interior, electronics and fashion companies. Prior to setting up Trend Bible, She was head of trends at Tesco, and trend advisor to brands and retailers including Nokia and New Look. She is passionate about creative arts in the North East and sits on the board of Design Event, textile manufacturing social enterprise Weave and Baltic Centre for Contemporary Art. Joanna lives in the North East and as well as running her highly successful company, she is the mother of two small boys, a voracious reader and loves spending time outdoors and with her family. So read on to find out more about Joanna’s approach to business and the advice that she has for others in business today. What prompted you into starting your own company? I really didn’t plan to start a company as such, I just wanted to work for myself so I set up as an independent trend consultant. I simply built up too much work for one person and I couldn’t bear to turn work down so I decided to employ someone to help me, Tanya, who is still working with me now as Operations Manager 8 years and 13 employees later. It didn’t take me long to realise that being able to pick the people you work with is the main perk of having your own business! I’ve since built a genuinely lovely team that I thoroughly enjoy working with. What’s the first thing you do in the working day? I have meetings scheduled in to my diary every day so as soon as I get to work, I grab a cup of tea and I hit the ground running with internal meetings with my team. It’s not until lunchtime that I start going through emails or taking calls. What’s the best business decision you have made in the last 12 months? To hire someone to work specifically on Marketing. Previously my forecasting team had all chipped in to blog posts, newsletters and social media on an ad-hoc basis, but with a dedicated person in place this has really boosted the volume and consistency of our marketing output. We hired a graduate from Northumbria University, who had previously been on a 6-month internship with us and had really impressed us. Who in business inspires you? And why? I have a six or seven people who own and run businesses that range from 10 to 100 employees and they are fantastic role models for me. Some of them are 5-10 years further down the line than Trend Bible is, but I find it really inspiring to have these very real role models right here in front of me to learn from. I listen to podcasts and interviews with famous business leaders like Jo Malone, Ariana Huffington and Julie Meyer, but the truth is that I learn most from people directly around me in the North East business community. I make a point of meeting them for coffee and we share ideas with each other, we sense check our own ideas. My list of ‘local heroes’ includes Kari Owers from O Communications, Darren Richardson of Gardiner Richardson, Laura Weaving from Duo Consulting, Sarah Pittendrigh of Simply Bows and Chaircovers, Paul Edwards of Edwards Cleaning. They have varied businesses that are completely different to mine, but their advice and encouragement has been invaluable. What is your favourite part of your role within the business? Working with my team. I love the intellectual side of trend forecasting, having discussions about changing householder and consumer attitudes and behaviours. What marketing activities and tools do you find most effective? Our blog is our single best tool without a doubt. All of our social media channels ‘point’ towards our blog, and we spend a lot of time ensuring our blog has really rich content for our audience. We developed a series of customer personas a year ago and we craft blog content for each of those personas. We can evidence clients who first got to know us two years ago by subscribing to free content on our blog and newsletter that now spend significant sums of money on our bespoke trend services, so we know it works as a sales channel. Make time to work ‘on’ the business. Even if it’s one day a year, crafting a strategic plan of what you want to achieve, it’s time well spent. Creating that structure will keep you on track with your goals and ambitions. I’d also say decide very early on what it is you’re trying to achieve. Is it a business or is it a hobby? There is a very important distinction! Given your time again, what would you do differently ? I would believe that 80% of what’s in my head could be systemized and delegated. I was highly skeptical about this, it’s a concept that was introduced to me by my then business coach, now our Non-Exec Director, Ross Golightly. It took me a while to believe it was true, and it has worked phenomenally well. I simply wrote everything down in process maps and supporting documents so that I could coach others to do parts of my job. It’s what has allowed me to run a high growth business in a 3-day week. What is your main goal for the year ahead? It’s already looking like 2017 is going to be a really busy year for us, we have lots of new contracts in the pipeline. I’d like to take advantage of the overseas travel opportunities that are lining up and take my family on some of my work trips next year. So far we have Paris, Stockholm and Cape Town on the agenda and I would like to take my family along and tag on some downtime to explore. I’m always encouraging my team to do this (as a business we pay for an extra night in a hotel for our staff who are overseas on business so that they can explore the cities they visit beyond the airport and a conference centre!) – so it’s time I started taking my own medicine!